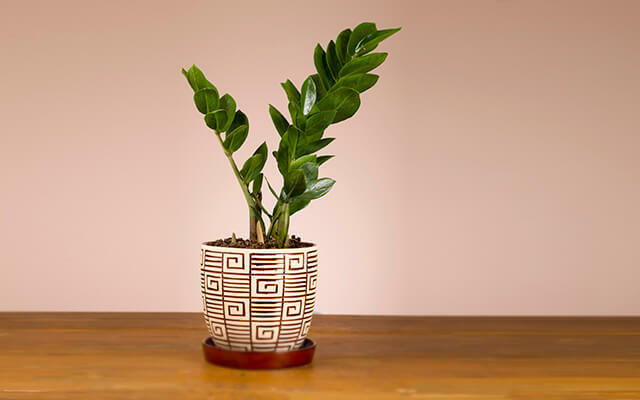 If your home is feeling like it needs to get its groove on, a potted plant here and there might be just the ticket to creating a healthy, fresh vibe. 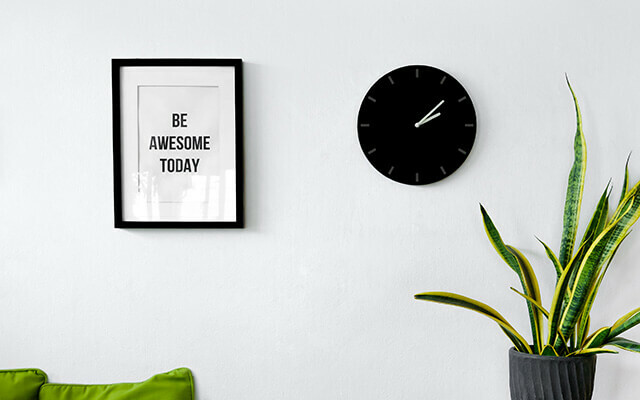 So here’s a list of plants that are up–to-date in the trend stakes, air cleansing and, importantly, hard to kill…. This stunning tropical plant has finally knocked the Fiddle Leaf Fig off its perch as the top-of-the-pops house plant. It’s easy to see why it’s the new favourite of magazine stylists and high-end designers alike. Simply stunning with large paddle shaped leaves and the capacity to grow up to three metres tall, the Giant Strelitzia thrives indoors as long as it gets enough light. Ideally, find a spot that will provide the plant with at least five to six hours of sunlight each day. Mist the leaves with water every day in summer and just once a week over winter to create a tropical environment for this stunning monster and you’ll enjoy its glossy beauty for years to come. Remembering to fertilize your plant every couple of weeks during summer time will keep it very happy and result in vigorous growth. 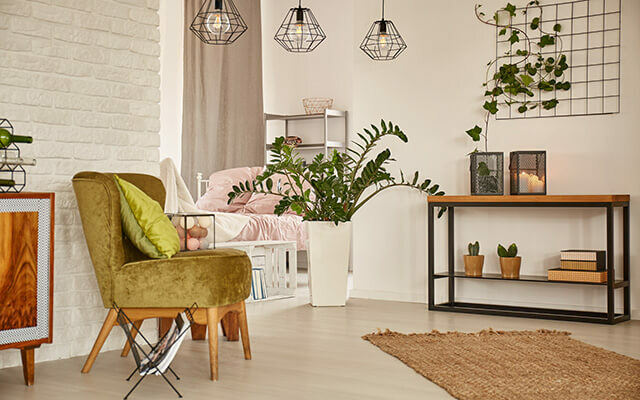 Okay, so it has only been knocked down to number two as there is no denying that the ugly-gorgeous Fiddle Leaf Fig remains a must-have for any stylish household. With large textural leaves and an almost prehistoric look, the Fiddle Leaf Fig adds loads of personality to any space, whatever the scheme. They look fabulous anywhere around the home; your front porch, bathroom or living area will all benefit from the introduction of this sculptural specimen. 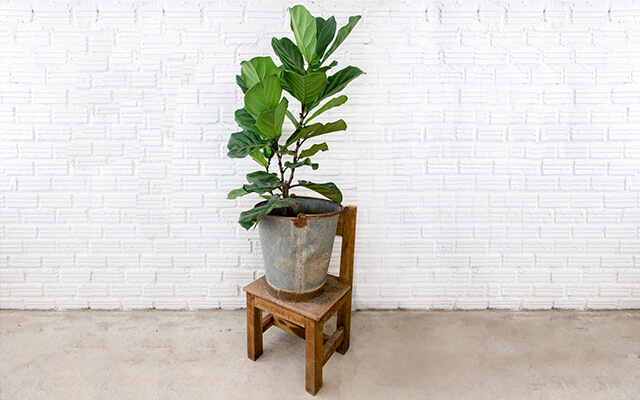 Fiddle Leaf Fig will be happy if it is kept moist in a brightly lit spot, but be sure to keep it out of direct sunlight or its leaves will burn and brown off. Your fig will love it if you take the time to replace the top few centimetres of soil with new potting mix once a year. Who doesn’t remember one of these next to Granny’s front door? With its mid-century modern vibe and long, pointy leaves, Mother-in-law’s tongue is well and truly back in fashion and has the added benefit of being virtually indestructible. It adds architectural structure to any contemporary interior and will tolerate just abut any conditions, although it prefers a sunny spot. Don’t water it too often as that is probably the one thing that will kill it. It may look pretty and meandering, but Devil’s Ivy can take a lot of mistreatment. Keep it in a dull room without much sun and it will continue to thrive. 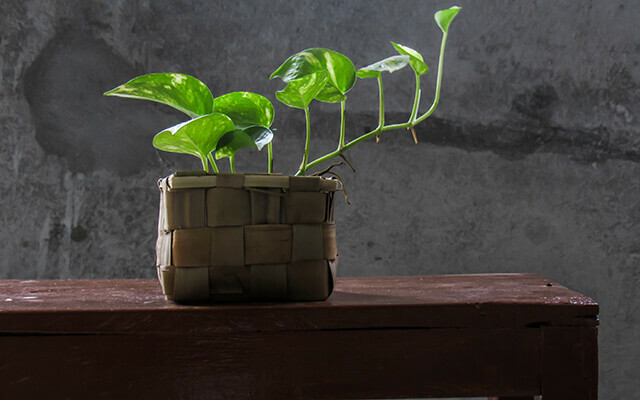 Likewise, it copes well with occasional watering and inadequate attention and is guaranteed to reward poor care with healthy looking heart-shaped leaves that elegantly drape themselves across any surface. If left alone, the length of Devil’s Ivy can reach up to ten metres, so give it a trim every so often to keep it looking full and luscious. Frighteningly easy to propagate, cuttings will soon take grow roots in a glass of water before transfer to a new pot. Worth noting that this plant is toxic so should be kept away from pets and babies! Hailing from Africa, the hardy Zanzibar Gem’s shiny leaves reflect light around a room and bring an exotic feel to any interior. The strappy plant’s one downside of slow growth is more than balanced out by its healthy appearance and near-indestructability. Too much water or a cold environment are Zanzibar Gem’s only threats, so don’t despair if you come home from holidays to find it has dried up, turned brown, and lost its leaves. Just give it a trim and some water and before you know it new shoots will appear at the base. Keep out of reach of little people and pets, as this plant is toxic.